Kristjana Stefánsdóttir has been a leading lady for years in the Icelandic Jazz/Blues Scene. Her first album, Ég verð heima um jólin (I’ll be home for Christmas), recorded with the Kristjana Stefáns Quartet and guest singers such as Emiliana Torrini and Páll Óskar, was released in 1996, and she has since made recordings as a soloist and as a guest performer, and makes regular appearances in radio, on television and in concerts. The solo album Kristjana released in 2001 (released in Japan in 2005) was nominated for the Icelandic Music Awards, as well as Fagra veröld (Beautiful World) in 2002 where she sang songs composed by pianist Sunna Gunnlaugsdóttir to lyrics of various poets.In 2005 she made an album in collaboration with pianist Agnar Magnusson called Ég um þig/Me For You, covers of famous pop tunes. Recorded in Systems Two Studio in Brooklyn, New York with two American Jazz musicians, Drew Gress on bass (John Abercrombie, Uri Caine, Ravi Coltrane,)and John Hollenbeck on drums (Meredith Monk, Laurie Anderson). The album was nominated for the 2005 Icelandic Music Awards Jazz album of the year. 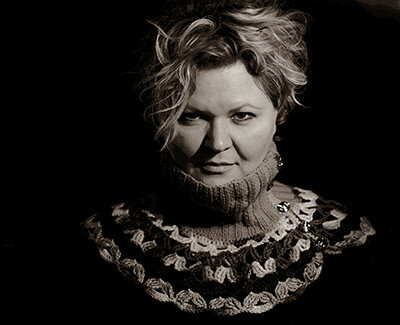 She did a duo album Glædur with singer/songwriter Svavar Knútur in 2011 and her latest CD is a Christmas album Eitthvad fallegt in collaboration with singer/songwriter Svavar Knútur and Ragga Gröndal. She performs regularly with The Reykjavik Big Band, a band featuring guest conductors such as Bob Mintzer, Frank Foster, Daniel Nolgard, Maria Schneider and Ole Kock Hansen. She has collaborated with musicians such as Glen Hansard, Emiliana Torrini, Svavar Knútur, Ragga Gröndal, Monotown, Bubbi Mortens, Jónas Sig, Ómar Guðjóns, Sigurdur Flosason and many more. Her concerts have been recorded and broadcast for the National Radio in Iceland and other European Radio stations. Kristjana has given concerts in Europe, USA and Japan. Lately she has done some crossover in her craft as a theatre performer, musical director, composer and writer. She is currently working on a new album with original songs with alternative influences as she continues to write music and perform in the theatre. Kristjana lives in Reykjavik, Iceland.